Have You Been Cleaning Your Camera Sensor Wrong All This Time? Cleaning your camera sensor is a crucial part of being a photographer and it isn't as scary or as expensive as you may think. Learn about these various tools and techniques before your next shoot. It doesn't matter what you shoot with, or how careful you are when changing your lenses, your camera will eventually collect dust on its sensor. This can lead to undesirable blemishes on your photographs which will inevitably need to be taken out in post-production. While the clone and spot removal tool may be able to save the day quite often, I guarantee there will come a time when an unfortunate piece of visible sensor dust just can't be convincingly edited out. 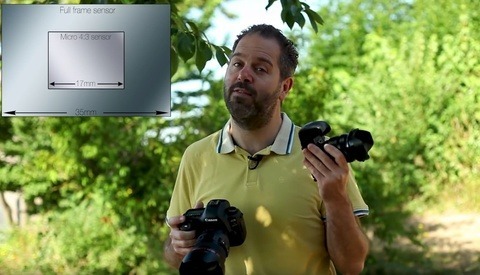 Before that major headache happens, I highly recommend you take a look at the latest video by Michael Andrew who explains his thorough workflow for keeping his cameras dust free. What I like about this particular video is how Andrew goes into great detail giving the negatives and positives of the many different ways to clean your sensor as well as highlighting a few common techniques which could actually be doing your camera harm. He even shows a few handy gadgets such as the Carson magnifying loupe which can really help you to identify the problem areas on your sensor. If you're completely new to the concept of sensor dust the video also shows you how to take a test shot so you can see for yourself how your camera is fairing up. A little bit of investment in time and money will help you to avoid future headaches when it comes to producing the best images you possibly can for you and your clients. If cleaning your sensor isn't already in your workflow I would seriously consider making it one of your New Year's resolutions. Lead image by Pixel2013 via Pixabay. Paul Adshead is a commercial and fine art photographer from the U.K. On the rare occasion he's not doing photography he loves being outdoors, blind drawing, people watching, and writing awkward "About Me" statements on websites. 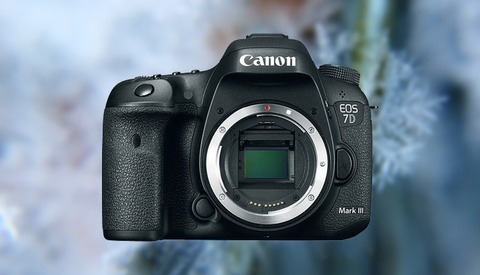 Is the Long Overdue Canon 7D Mark III Arriving in Early 2019? Full Frame vs. Micro Four Thirds: Do You Really Need the Extra Megapixels? Strange, I've never had issue with compressed air, been using them for years. I blow some gas initially and then proceed to blow my sensor or lenses. Haven't had any of the issues he's saying. Although I'll get smearing when I clean with wet cleaners, it's just a matter of using two or three swabs before you're good. I do like his cleaner suggestions and I'll be looking into those products. "Cleaning your camera sensor is a crucial part of being a photographer"
So I guess you don't clean your lenses when they get any kind of dirt or debris on their surfaces and let a technician do it as well? It's really no different, but again you're free to go about it however you wish. I'm not arguing against maintaining your equipment, but if you don't feel comfortable cleaning your own lenses or cleaning your own sensor, it doesn't make you less of a photographer. If my lenses were suffering from balsam separation, I wouldn't try to service that myself. Ultimately, every individual has to make a decision as to what they're comfortable with. "...if you don't feel comfortable cleaning your own lenses or cleaning your own sensor, it doesn't make you less of a photographer." I don't think that's what's being implied by the statement "Cleaning your camera sensor is a crucial part of being a photographer". He's just pointing out a crucial regular maintenance practice. Perhaps a better phrase should have been "Keeping your camera sensor clean is a crucial part of being a photographer". I must say it's surprising to me how many people are apprehensive about cleaning their sensor. It's such a simple procedure. Aren't most cameras equipped with mechanisms to automatically clean the sensor to remove dust? That method only works to a certain degree. I have a a dust particle that’s still on my sensor after doing multiple auto cleanings. Already ordered the solution in the video. Gonna see how that works. Just reporting back. My sensor is completely clean! Not going to lie though I was completely nervous. Though now I’m more confident I can clean my own sensor. I’m also confused by that down vote. I guess I upset someone. I use the eyelead brand version of that dry solution. I find it invaluable for mirrorless cameras, which seem to act as vacuum cleaners for dust. I mean, I am a total newbie to photography and I can say I never ever got a single dust on my sensor since purchasing it 1 year ago, switching all the time between my 85mm prime and 16-35mm as well as going to 3 trips with it (Cuba, Dominican Republic and 2 week in France) without even bringing any cleaning kit outside the microfiber attached in the pocket of my camera bag. Clearly a video meant to be 5 time as long as it coul d be to increase the view time (and YouTube earnings at the same time), with a few decent tip that only dumb people would not have figured on their own the first time they switched their lens. I can 100% confirm that sensors collect tons of dust without trying, and I can also confirm that Michael wouldn't stage anything. It definitely seems to vary by the manufacturer and/or the lens being used. My mirrorless cameras DEFINITELY collect way more dust than my DSLRs, probably because of the mirror. I know some sensors have special tech to reduce dust. Do you leave your camera open for a long time between switching lenses? Also, does your camera have any time of self cleaning? To switch lenses, I usually simply put my lens I am going to switch to on a flat surface, unscrew the protective cap without removing it. I then grab my camera, unlock the lens and put it right beside the one I had on the table. I then simply remove the protective cover that was unscrewed and switch it to the lens I wont be using while moving my camera on the other lens. 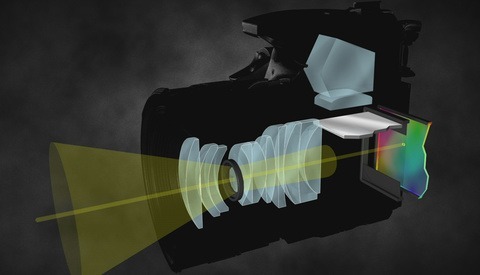 It leaves both the sensor and the back of each lenses exposed for only 3-5 seconds. When there is no surface to put the lens on, I do the same thing but in the compartiment of the camera bag. It takes longer but I have yet to get any dust stick on the sensor. I'm not the type to plan in advance the kind of pictures I will be taking so I end up switching lens many time, each time I use my camera. Any dust that must have gotten in, and I'm sure there was a lot, have been taken care off by the sensor auto cleaning. Dust on my lenses are another story as I'm not that careful with this either and had some on my 16-35 that I only noticed when I got back home and looked at the shot taken in France. Easy to know it was on the lense and not on the sensor as it was moving depending on the zoom setting used. As a newbie, you also don't realize how much debris can get on a sensor even if you never changed a lens at all. You just don't notice it relative to how you're shooting and your subject matter. If you're shooting relatively open apertures and have complex data scenes, you'll probably never notice them. I can guarantee you that, as you write in this thread, there's a significant amount of dirt and debris on your sensor that you're not aware of is there. You didn't even take time to read my post and go saying I have no idea how much debris there is if I never changed a lens wheb I clearly said I swap lens all the time as I don't plan in advance which kind of picture I will take and swap on the go, as I feel is needed for a scene/portrait. Now I'll give you the point about aperture and how I shoot, it could influence how those spot are or are not easy to spot in my picture. Still, I could easily spot the dust of my 16-35 2.8gm in my pictures, yet never saw any that were coming from the sensor. Back when still a relatively new/novice photographer, I was aware of the issue generally, but hadn't noticed problems with my kit (yet). One day, I was doing some landscape work and it was quite windy... Thinking I had things under control, I leaned into my car's passenger compartment on the leeward side relative to the wind, and changed lens thinking that would be good enough to protect from dust. Wow. Did I ever muck up the sensor! There was so much stuff on it (I found out later when processing); that's when I learned to do sensor cleaning and purchased the tools. Learned a few lessons that day. No matter how well you look after your cameras the sensors do get dust on them. Have you tried shooting a frame at f22 to the bright sky and seeing the sensor on your camera? I am simply an enthusiast amateur, clearly lacking any photography skill when looking at the type of work you and other provide. I was also lucky enough to gift myself a nice set which I guess might be outside the budget of some. I am still so bad at capturing the right moment and emotion that you might think I'm a random cellphone user. With that said, I do know a thing or two and disagree with you with the example you gave. If for any reason I was to borrow a friend's camera, that means it is a piece of gear outside my budget that I cannot either afford to risk messing the sensor in anyway, even if not from a technical fault on my part but only pure bad luck happening randomly at the wrong moment while I am cleaning said sensor. It would also mean the type of shooting is not paying well enough to rent a perfectly maintained camera either and therefore most likely doesn't require such expensive equipment. I don't know about you, but around my place, no equipment is rented dirty and they leave the shop with a cleaning done before hand. Now, if you did happen to be hired somewhere lending you a camera, then I guess it could happen at some point to be useful and most likely the only situation where you might get dirty sensor as you showed, but it still doesn't make this a crucial part of being a photographer. Cleaning your lense might, as they become dirty way faster, being always in contact with contaminants and not having some sort of self cleaning capability. Sensor cleaning is really only a thing for rare situations where someone is in a dirty environment, unlucky and/or clumsy. Can you give a source for Dust Aid products? B and H no longer carries them. Amazon gave a delivery date a month out. Those are the two places I would have looked for Dust Aid. Have you looked on ebay? Sorry I can't be of any more help. Cleaning a sensor isn't rocket science.